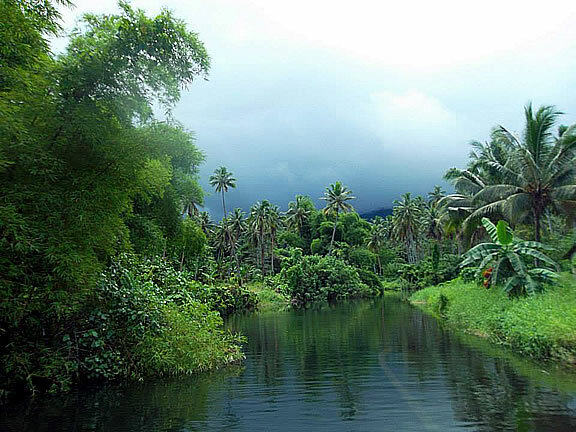 Fiji's third biggest island, Tavenui is also known as the Garden Island. 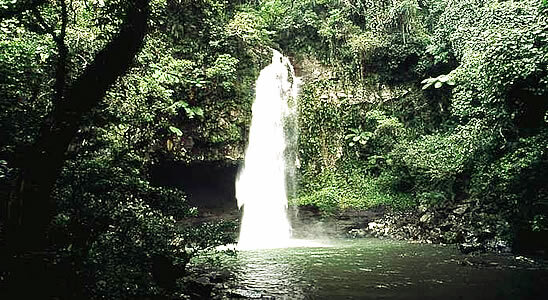 With a low population (around 26,000), high rainfall, and dense forest, this is probably as close to true jungle wilderness as you're going to get in Fiji. 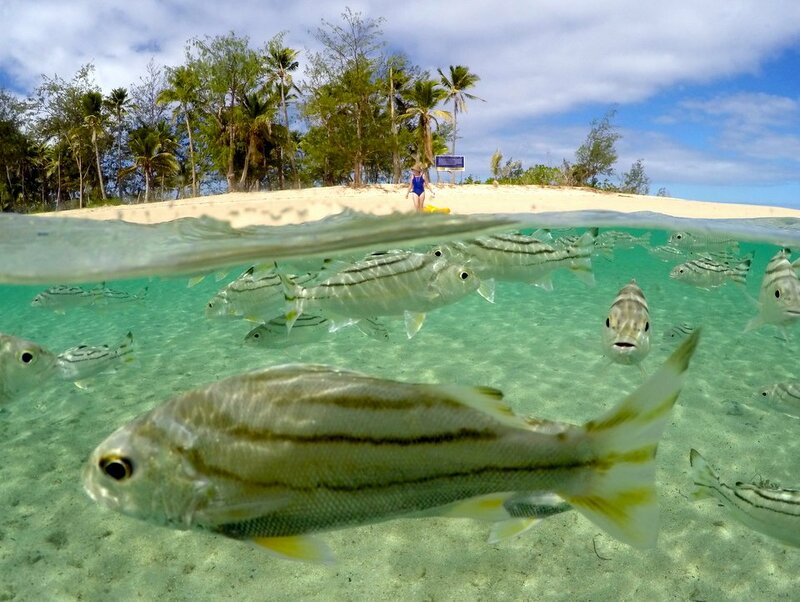 Serviced by a small airport on the northern tip of the island, you can get here either by domestic flights from Nadi and Suva, or travel "the local way" and take a ferry. 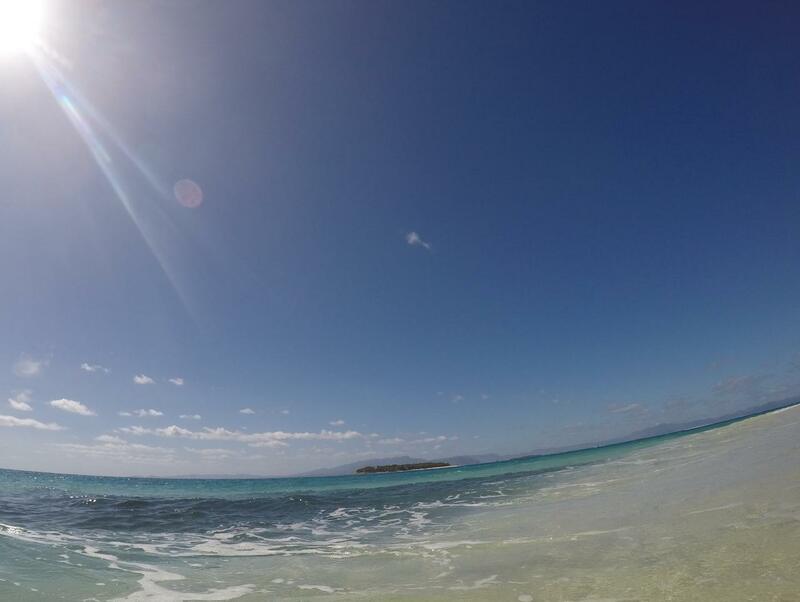 If you enjoy diving, snorkelling, uncrowded beaches and unspoiled lanscapes, this is the place to visit. 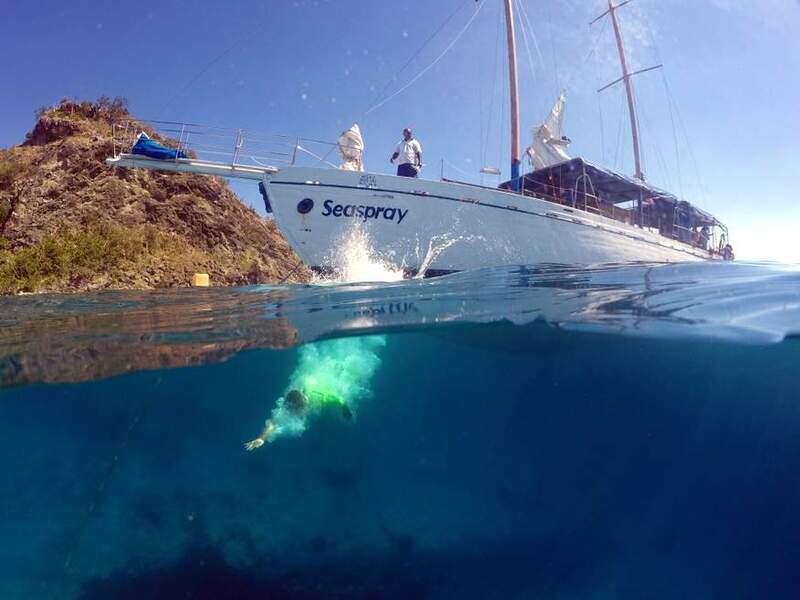 While Tavuni is popular with all types of tourists, those that have come to Fiji for the diving are especially well catered for. With world famous dives like the Rainbow reef and Somosomo channel, this area has been described as "the soft coral capital of the world". But for nature lovers such as myself, this is paradise. Without the mongoose on the island, many species that have almost disappeared from the southern islands are alive and well here. One of those species that I haven't yet seen in the wild, is the Pacific Boa. 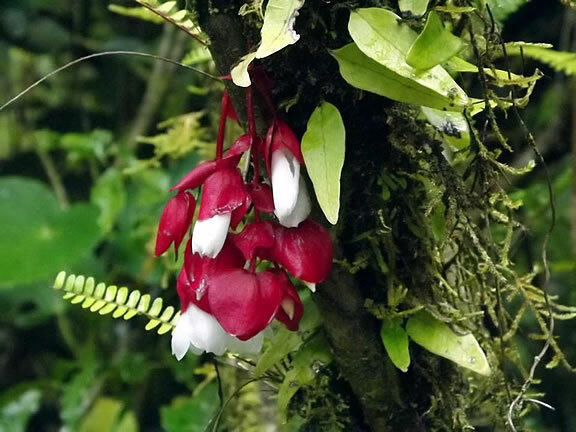 I hear that they are relatively common in the forest, but quite shy and can be difficult to spot. And land crabs... every year for a few short weeks, they make their annual migration and you can see them almost anywhere. Due to predation by the mongoose, you simply won't see these on Viti Levu or most of the southern islands. 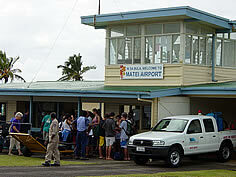 Price of Flights from Nadi: We did a search on flights using several airline comparison websites. The average price seemed to be around fj$750 return. However, when we checked directly with Fiji Airways , we found one way tickets from as low as fj$280. 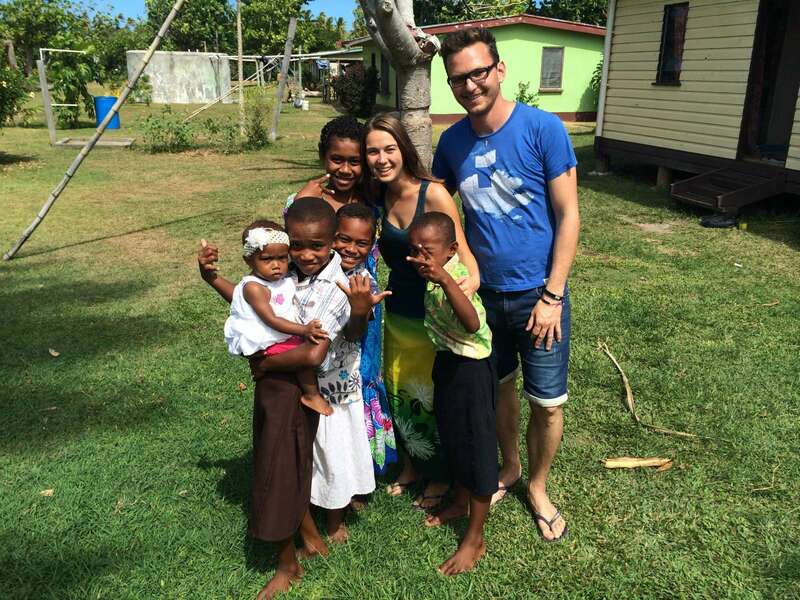 At the time of writing (March 2014) we were quoted a price of fj$574 for a return trip. That's almost fj$180 less than what we could find from the comparison booking sites, so our advice is to go directly with Fiji Airways. Book Flights Early! When we checked flights, we looked a week or so ahead and seats were available. However, this was during low season... if we were to check during peak times (June to September)then it would have been different. With only a small number of flights to Taveuni, and as the aircraft are also small, seat numbers are limited and it can be difficult to get a booking if you want to travel at short notice. Getting there is half the fun, so they say. But only if everything goes well! Read our guides on catching a flight or ferry to Taveuni and find out the things you need to know. Coming Soon. 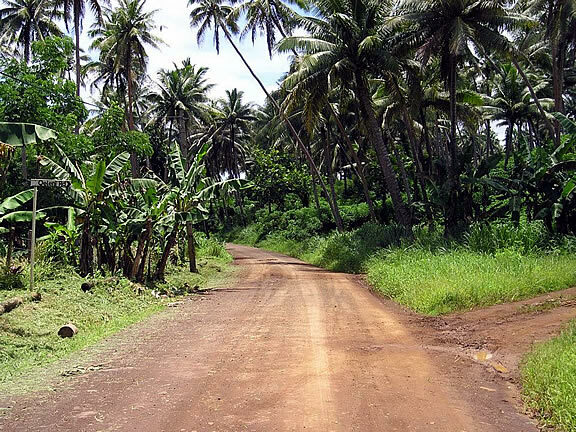 There is no doubt that Taveuni requires a lot more effort to get to than the popular southern destinations such as the Coral Coast. Your first problem is to find suitable accommodation. With the high end resorts, that is an easy job... they have the budget and resources to run efficient advertising campaigns and are frequently reviewed on Trip Advisor. But if you are looking at the budget end of the market, it's a different story. Some of these properties are difficult to find, and you can't book accommodation at a place you don't know about. Add in the complications of finding and booking flights or ferries, juggling connections etc, it becomes a bit of a mission... only the determined succeed ;-) The northern areas of Fiji simply don't have the transportation infrastructure in place. 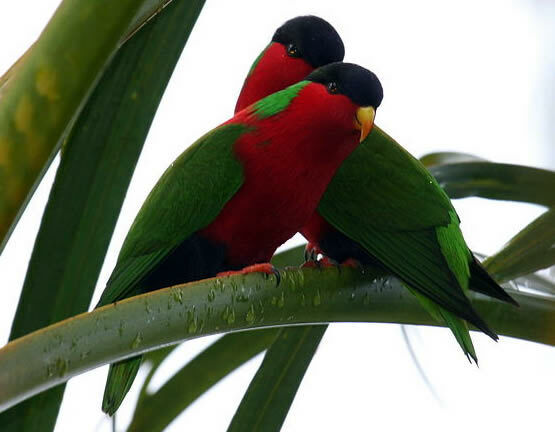 One option is to put yourself into the hands of a Taveuni specialist... we found just such a person at taveuni.com.au/. We mentioned the difficulty of actually finding accommodation in the cheaper end of the market. The places are there, you just have to find them! 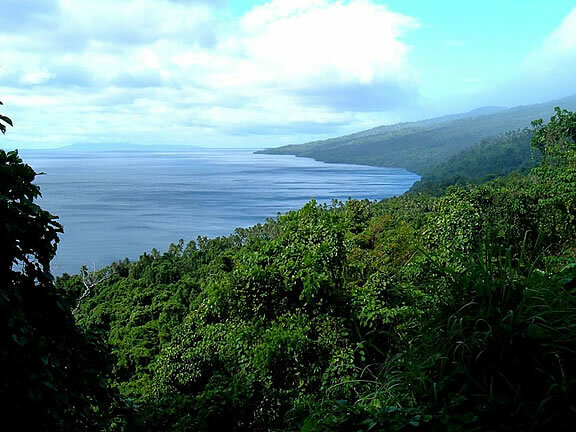 We suggest a great starting point is the accommodation page on the Taveuni.com website. That has listings which include camping, dorm, and cheap self contained cottage accommodation. Don't expect to find dozens of resorts, virtually side by side like you do on the Coral Coast. There isn't the demand. 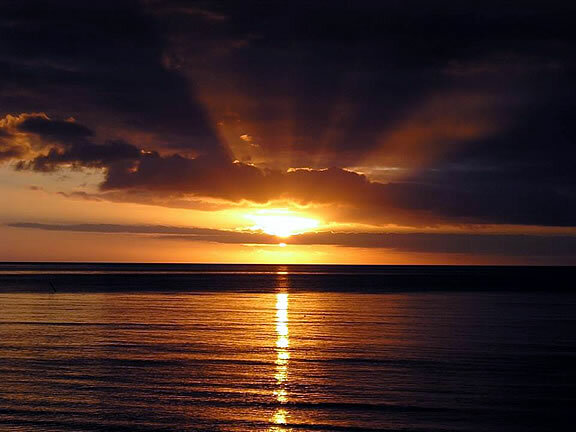 However, Taveuni and surrounding islands are popular enough that there is a good selection of places, ranging from cheap budget backpackers to luxury spa resorts. Some of these resorts are way outside the scope of a budget vacation site, but for the sake of completeness we have included details anyway. As we are just beginning to explore this area, we have not yet had time to visit and review these places. So until we do manage to do that, we are compiling a list of the places we know about, along with basic details. Accommodation will be sorted into Luxury, Midrange and Budget catagories. Sorry for shouting, but it really is important (to your wallet) to shop around before booking a resort. 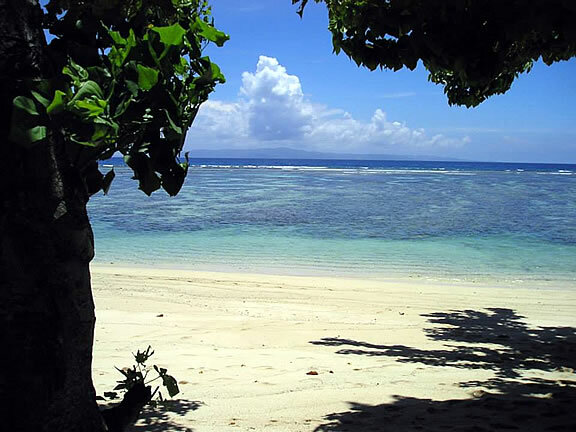 We will use Qamea Resort & Spa as an example. On one travel brokerage website, we found this resort with advertised prices starting from fj$1,331 with top accommodation at fj$2,621 a night. When we visited the Qamea Resort website, we found that the actual current resort rates are fj$750 to fj$1520 (the rates on Qamea Resort website are in US$, but we have converted to fj$ at current exchange rate). That is an 80% markup... absolutely ridiculous, in our opinion. Fair enough to make some sort of a commission... everyone has to earn a living somehow. But 10% would be more than enough. Even better is no markup at all, and get commission from the resort for providing the customers. 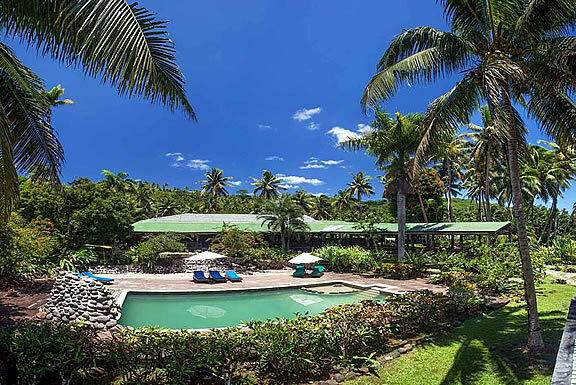 Close to the airport, Taveuni Island resort is on a hilltop overlooking the ocean. 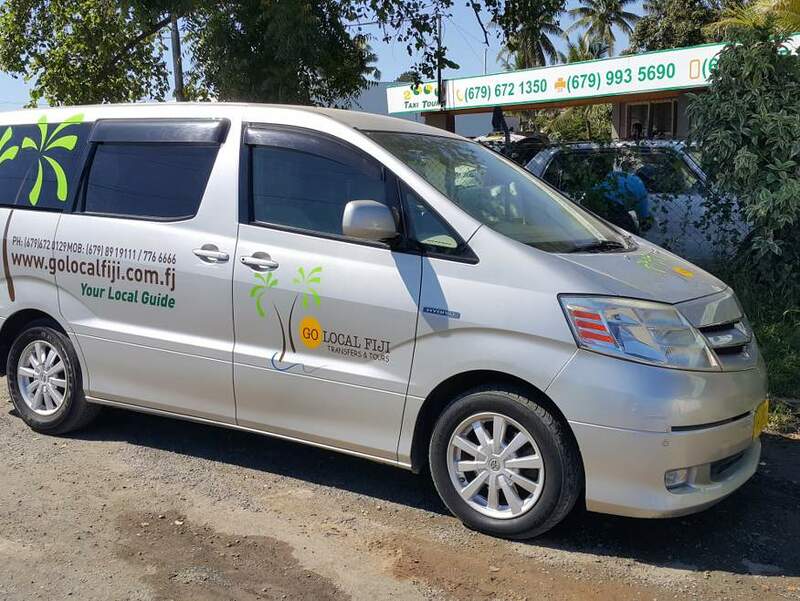 This is pampered luxury at it's best, and the rates of between fj$1,150 and fj$4,500 reflect that. This is located on the nearby Qamea island. Another of the resorts in the 5-7 star bracket, this place has everything you could ever want... as long as you can afford to pay for it. This luxury resort specializes in weddings and honeymoons for those that can afford the price tag. They also have a minimum 5 night stay policy, so if you have a spare fj$20,000 just sitting around, you might want to consider this place. Nice mid priced resort that offers a range of accommodation from single rooms to family villas. Views over the Somosomo straight (one of Fiji's premier diving locations) they also cater to weddings. 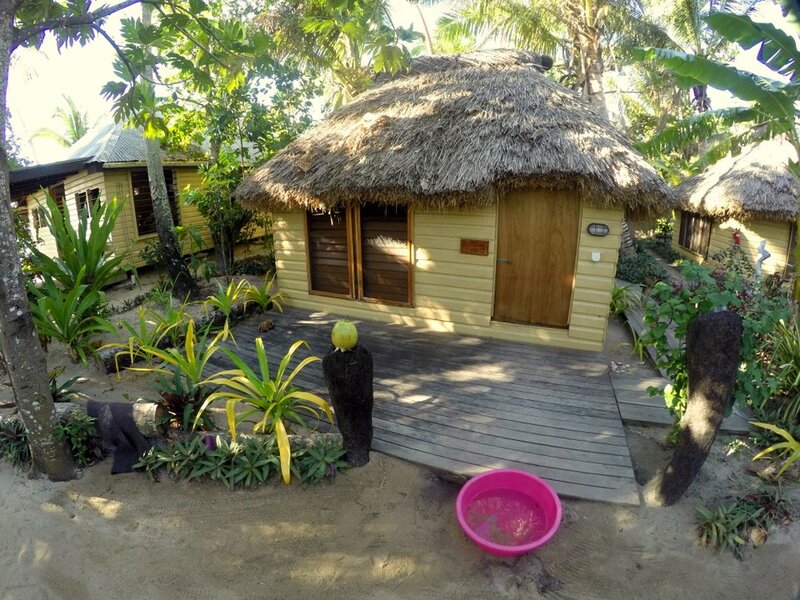 More European styling than traditional Fijian, so if you are looking for an authentic "Fijian Experience" with your accommodation, this may not be the place for you.